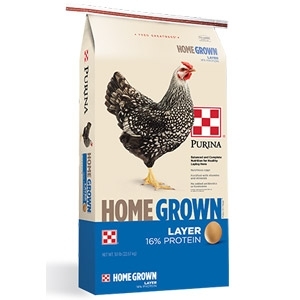 Purina® Home Grown® Layer Pellets provide complete, consistent nutrition for laying hens. This complete feed comes with 16% protein, added vitamins, and minerals, and quality nutrients for healthy birds and nutritious eggs. For nutritional information and analysis please click here.